Hope you all had a great xmas, I know I certainly did, I ate my own body weight in food and enjoyed some quality time with mine and Lucinda's family. 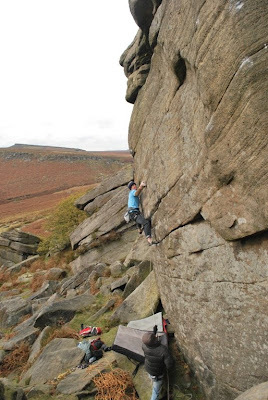 The weather has been pretty good over the last few weeks and I have been getting out on the grit, despatching some routes and boulder problems around the peak district. Check out my Scarpa blog for more details and pictures. Hope you all enjoy some time off leading up to the new year and all the best for 2009.